I've set up my corporation. Now what do I do? Run Your Own Corporation provides the solution to this very common dilemma. Breaking down the requirements chronologically (ie the first day, first quarter, first year) the book sets forth all the tax and corporate and legal matters new business owners must comply with. 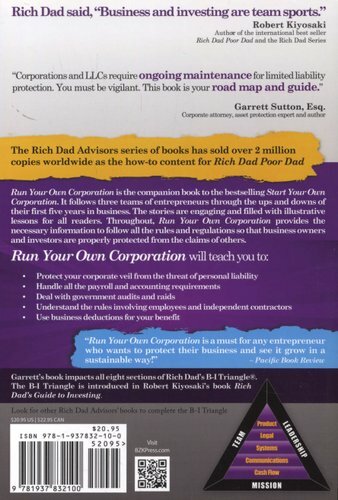 Written by Rich Dad's Advisor Garrett Sutton, Esq., who also authored the companion edition Start Your Own Corporation, the book clearly identifies what must be done to properly maintain and operate your corporation entity. From the first day, when employer identification numbers must be obtained in order to open up a bank account, to the fifth year when trademark renewals must be filed, and all the requirements in between, Run Your Own Corporation is a unique resource that all business owners and investors must have. 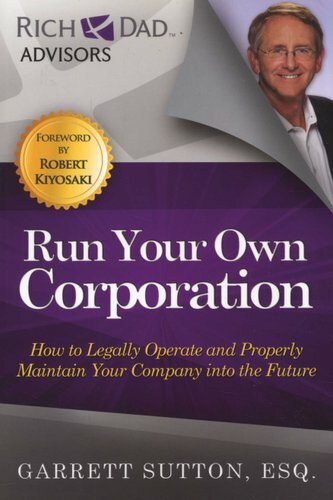 Rich Dad/Poor Dad author Robert Kiyosaki states, Run Your Own Corporation is the missing link for most entrepreneurs. They've set up their entity, but don't know the next steps. Garrett Sutton's book provides valuable information needed at the crucial start up phase of operations. It is highly recommended reading. 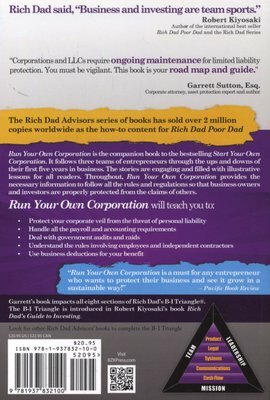 When Start Your Own Corporation is combined with Run Your Own Corporation readers have a two book set that offers the complete corporate picture.